SEE ALSO the new book I'M WITH DUMMY: Vent Figures and Blockheads Vintage Photographs from the Jim Linderman Collection. 78 Pages Softcover or ebook. 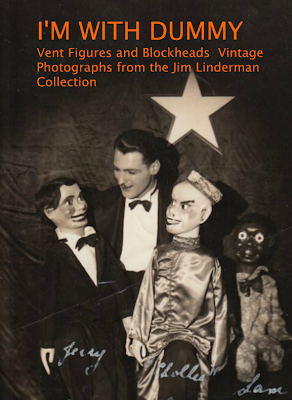 Nearly 100 original photographs 1900 - 1980 of ventriloquists and vent figures never before published. Creepy? Yes!